InAlias adds a number of functions related to user creation and management for Xinet™ servers. With InAlias, a user can request an account which is then approved by an administrator. The user is created automatically and assigned the proper volumes and permissions within Xinet™ minimizing the administrative work needed. Added security like password expiration and rotation are handled as well as ability to make a request for a forgotten password. Additionally, InAlias supply functions to control access to Portal sites and also provide auto-login functionality. 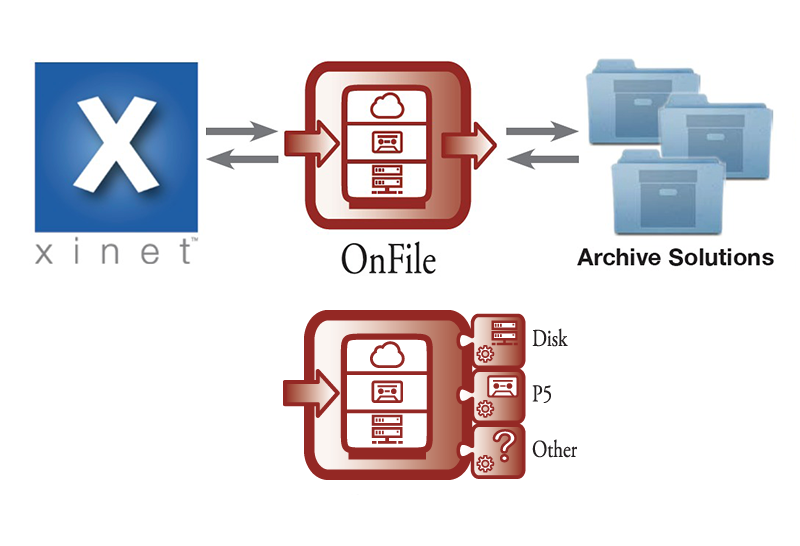 OnFile is an add-on to Xinet™ that acts as a link between the Xinet™ system and an Archive solution or service, providing tools to archive and restore as well as maintaining the relationship between the Xinet™ system and the archived asset. It utilizes the API's and tools from both Xinet™ and the Archive system to act as the link between the both. OnFile is an expandable solution that can work with multiple Archive modules to facilitate archiving to different destination types and solutions. It can handle multiple types of Archive solutions and will grow as new technlogies and services emerge. The DISK archivemodule lets OnFile users use locally or networkmounted disks as archivemedia. The Amazon glacier archivemodule lets OnFile users use the Amazon Glacier cloud storage solution as an archive destination for Xinet™ archives. EnRoute is a workflow companion to Xinet™ that scans for files or folders using the filesystem or the database. The abilities for checking for growing files, file locking and file stability in the Xinet™ database makes EnRoute the ideal solution to handle incoming files from multiple sources. Scanning for assets using the database can be done by applying custom queries making it possible to select exactly the assets specified. EnRoute reads metadata fields and use the collected data to route the scanned assets to the appropriate location. In addition to routing files, image conversion can be applied and custom script or programs can be triggered. All data being collected can be sent in notification emails as well as written to custom reports for use in other systems or databases. Metadata can be applied to files before and after routing. InterAct is a collection of plugins for Xinet™ that adds many valuable functions for Collaboration, Asset delivery and Workflow. They all share the same and highly configurable backend, allowing for flexibility to accommodate for different workflow and user scenarios. Collaboration plugins include the Asset Request for requesting new assets via an email link, Asset Review to create a one-time login for a non-user to review assets and Basket share for sharing groups of assets between users in a workgroup. Asset delivery plugins include Asset Link to send an expiring download link via email, Collect to gather assets for offline delivery and Send Ftp for shipping data via ftp and sftp. Workflow plugins include Project Maker for creating full project structures on the server via a gui and the batch Copy/Move/Delete. InterAct also offer a WebServices module that extends many of the InterAct functions to a webservice that can be used for interaction with other systems. 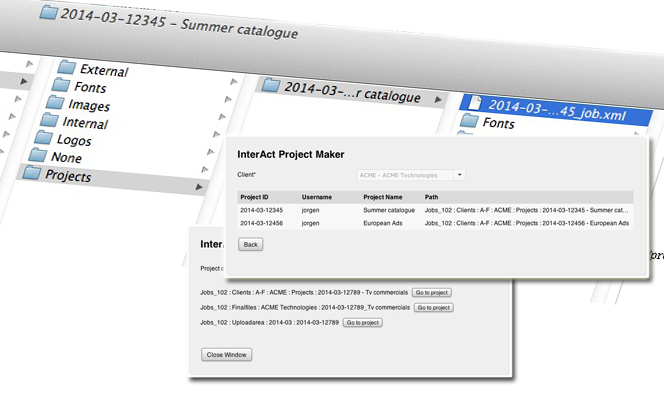 Typical use could be for a separate project management system to connect to the WebService module in order to use Project Maker to create the corresponding project on the Xinet™ server. Accelerator turns your Xinet™ server into an online web-to-print portal and document ordering solution. 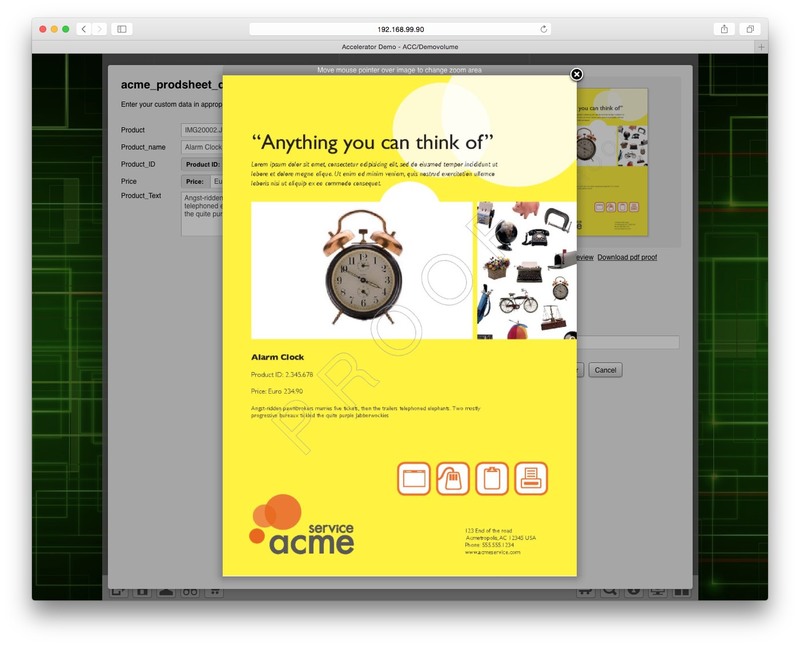 The templates are created from InDesign™ documents using the Accelerator engine. Templates are published and launched via the normal Xinet™ Portal site and the generated custom PDF´s are sent to a destination on the server as well as attached to emails. The input of custom data into the template is highly customizable and is controlled via the Acceleator admin GUI. No html programming is needed to generate the individual pages associated with a template. The user can input text, make selections, choose images, apply image cropping, etc before proofing and viewing the resulting document. 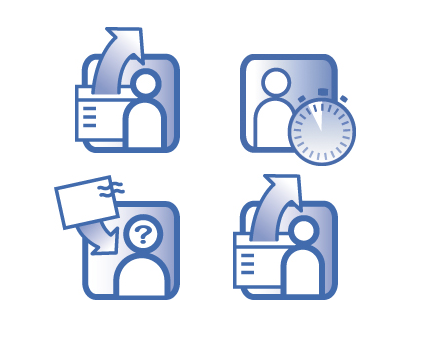 Workflow rules are applied to the user on an individually or by group. Accelerator is modularized to supply different levels of usage. The Base module offer all the templating and ordering. The Accelerator aBiz module adds on the ability to setup pricing and add on orderhandling including approvals. The dbFront module supply a database for keeping frequently used data for large user groups and the aCat module is used for simple cataloging tasks based on templates and assets in the Xinet™ database. Xinet, FullPress, WebNative and WebNative Portal are trademarks of North Plains. InDesign is a trademark of Adobe Inc. All other trademarks are the property of their respective owners.